U.S. President Donald Trump is claiming victory in getting China to designate fentanyl a controlled substance, but China took that step against the deadly synthetic opioid years ago. What’s actually on the table is a far more sweeping shift in the way China regulates synthetic opioids. The question is how China will follow through on its words. “Very importantly, President Xi, in a wonderful humanitarian gesture, has agreed to designate Fentanyl as a Controlled Substance, meaning that people selling Fentanyl to the United States will be subject to China’s maximum penalty under the law.” — statement Saturday. That’s a misreading of what China agreed to do, at least as far as Chinese authorities are concerned. Fentanyl has been a controlled substance in China for years, according to Chinese regulators. As well, China has already put more than 25 variants of fentanyl on its list of controlled substances, China’s foreign ministry spokesperson, Geng Shuang, said last week. 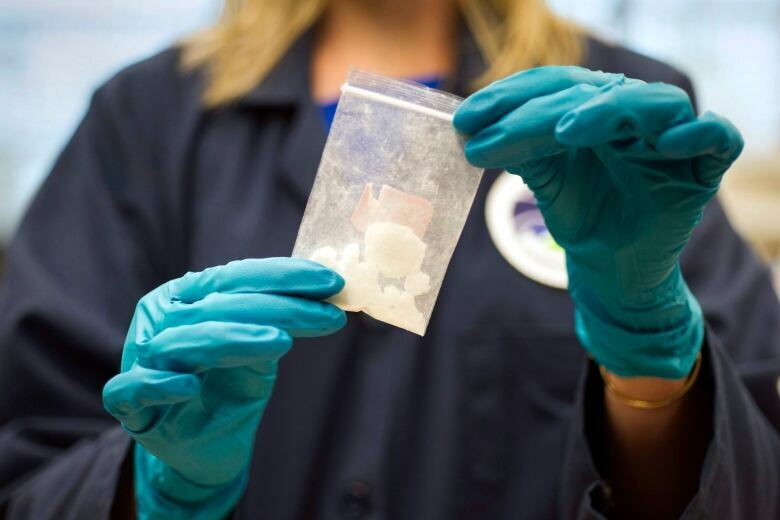 In February, the U.S. said that for the next two years, all new chemical versions of fentanyl that weren’t already regulated would be classified as illegal controlled substances. U.S. officials had been urging China to do something similar. Since 2017, the Chinese government has placed controls on 39 dangerous narcotic substances, yet <a href=”https://twitter.com/hashtag/China?src=hash&amp;ref_src=twsrc%5Etfw”>#China</a> remains the largest source of illicit <a href=”https://twitter.com/hashtag/fentanyl?src=hash&amp;ref_src=twsrc%5Etfw”>#fentanyl</a> and fentanyl-like substances in the United States. China’s new approach could indeed be game-changing, as Trump said. But so far there’s no timeline for implementation of the policy. Last year, the RCMP spoke of conducting at least 20 investigations involving dozens of vendors shipping fentanyl from China. Sgt. Yves Goupil said their investigation had only uncovered Chinese suppliers of fentanyl for the illicit market.? Goupil said the Mounties, along with the Canada Border Services Agency and Canada Post, were working together to identify the best way to flag parcels arriving from China at three international mail-sorting centres — Montreal, Mississauga, Ont., and Vancouver, which gets most of the mail going to destinations across the country. David Mulroney, Canada’s ambassador to China from 2009 to 2012, wrote an opinion piece that appeared Monday in the Globe and Mail newspaper, in which he called for “tougher talk” from Prime Minister Justin Trudeau against the flow of fentanyl from China. “China has been actually working with Canadian officials and Canadian law enforcement over the past months, to take measures on the flow of fentanyl into Canada,” Trudeau said at a news conference at the end of the G20 summit in Buenos Aires on Saturday. “There is, obviously, as you say, more to do. We recognize that this is a crisis that is continuing in Canada and indeed getting worse,” he said. Nearly 4,000 Canadians died from apparent opioid overdoses last year, up from about 3,000 in 2016, according to government figures released last June. Seventy-two per cent of those deaths in 2017 involved fentanyl or fentanyl analogues, compared to 55 per cent in 2016. NBA 2K19 update 1.07: PS4 and Xbox One patch notes revealed today Could Raf Simons Soon Be Out at Calvin Klein?